Today’s global economy, riven with extreme inequalities, is running down the living world on which everything depends. They say a picture speaks a thousand words, so here’s the state of humanity in a single image. It’s the “Doughnut” of social and planetary boundaries and it could just turn out to be the compass we need for creating a safe and just 21st century. The hole at the Doughnut’s centre reveals the proportion of people worldwide falling short on life’s essentials, such as food, water, healthcare and political freedom of expression – and a big part of humanity’s challenge is to get everyone out of that hole. At the same time, however, we cannot afford to be overshooting the Doughnut’s outer crust if we are to safeguard Earth’s life-giving systems, such as a stable climate, healthy oceans and a protective ozone layer, on which all our wellbeing fundamentally depends. 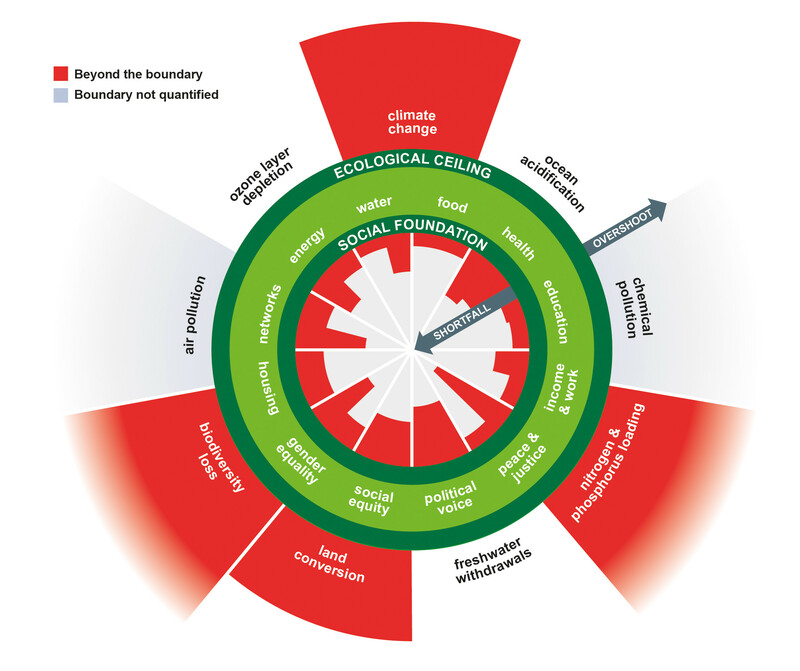 If getting into the Doughnut’s safe and just space between these social and planetary boundaries is humanity’s 21st century goal, then – it comes as no surprise – we have a big job ahead. Many millions of people still lack life’s essentials, living daily with hunger, illiteracy, insecurity and voicelessness. At the same time, humanity’s collective pressure on the planet has already overshot at least four planetary boundaries: for climate change, land conversion, fertilizer use, and biodiversity loss. In other words, today’s global economy is deeply divisive – riven with extreme inequalities – and it is degenerative too, running down the living world on which everything depends. 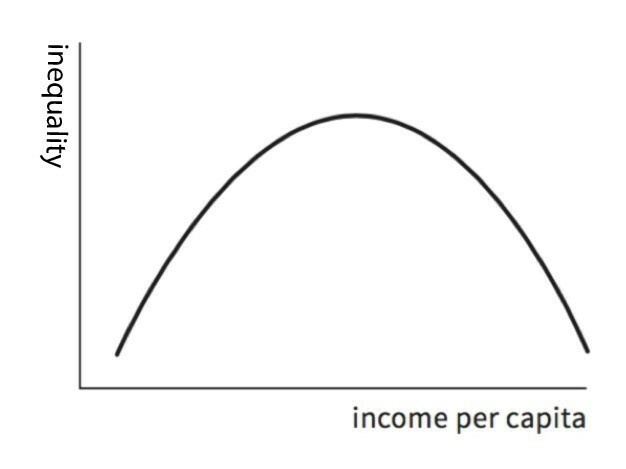 What economic mindset can give us even half a chance of turning this situation around? 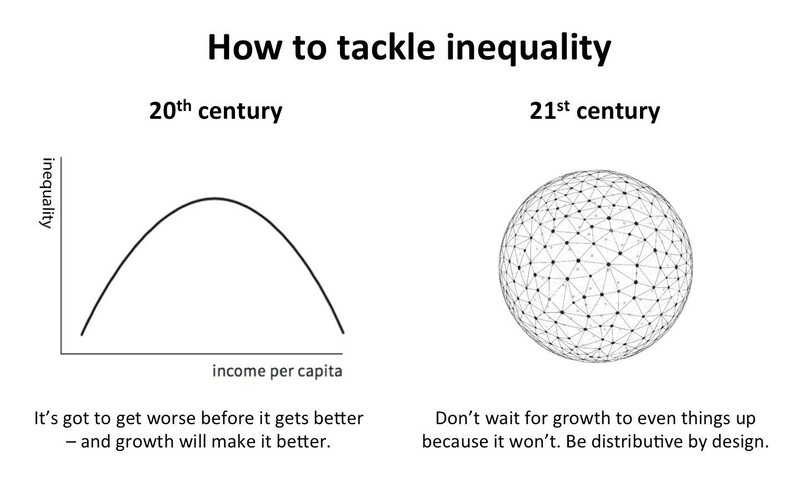 This is the question at the heart of my book, Doughnut Economics: Seven Ways to Think Like a 21st Century Economist, and here I’ll focus on just one of those seven ways: a revolution in economic thinking about inequality. Inequality seems to have become the topic of our times, even though barely a decade ago it was politely kept off the agenda. Thanks to the past 10 years of ground-breaking analysis – including Wilkinson and Pickett’s The Spirit Level, Oxfam’s annual billionaire calculations and Piketty’s Capital in the 21st Century – combined with the extraordinary rise of the 1%, the promise to tackle inequality now appears high on every policymaker’s list. We are daily offered “inclusive growth” and “an economy that works for everyone”. So what kind of economic mindset can help bring it about? 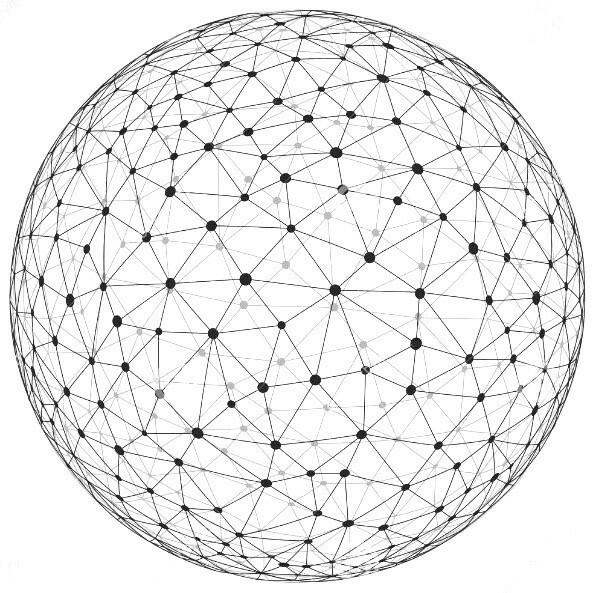 A network of flows: structuring an economy as a distributed network can more equitably distribute income and wealth amongst all those who help to generate it.